There is an increasing emphasis on mindfulness in the workplace lately. Have you noticed as well? Mindfulness is being talked about in mainstream media like never before and at Engaged HR we are fully onboard with embedding mindfulness practices into our workplaces. 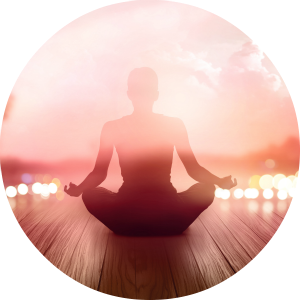 We all want our lives to have meaning, value and purpose, and part of developing self-awareness, nurturing holistic health, and encouraging emotional competency means taking a look at how we’re incorporating mindfulness into our daily lives. On the most basic level, being mindful means getting grounded and cultivating our presence, awareness, and focus in each moment. At work, how many of us are constantly jumping ahead mentally to the next activity, rushing to get things done, and feeling anxious as a result? Practicing mindfulness gently encourages us to engage more completely with the people and tasks that make up our present, bringing our awareness back to the moment and helping us have more meaningful interactions with others. Mindfulness also helps us notice and appreciate the positive parts of our day more fully, and allows us to adapt to challenges with patience and grace. Sounds like a practice we could all put to good use! You don’t have to meditate for hours to reap the benefits of being present and grounded; a holistic consideration of health considers simple ways to incorporate mindful practices into our daily lives. Here are some easy strategies to re-set and get back into the moment and put mindfulness to work for you. Pick a task and stick to it: We’re all busy, but multi-tasking actually makes us less efficient. Tackle one task at a time and give what you’re doing your full attention. Leave space between responsibilities in your schedule, so that you’re not always rushing to finish. You’ll do a better job, and be able to concentrate fully on the work at hand. Plus, anything you’re doing becomes much more enjoyable when you’re not worrying about missing deadlines. Take a five-minute vacation: Take a few minutes in the middle of a busy afternoon to clear your mind by getting back in touch with your senses. Notice your mind-chatter and allow thoughts to happen without judgment or worry. Notice the temperature of the room. Notice the background noises. Notice how your body feels right now. Notice your breath. Take that sense of calm and focus with you into the rest of your day. Inhale, exhale: Incorporate “box breathing” to reduce stress and reset the nervous system. It’s easy: simply sit up straight and focus on your breathing. Inhale through your nose for a count of four and hold for a count of four. Exhale for a count of four and hold again for a count of four. Repeat this exercise three times – it takes only seconds, and is incredibly effective at reducing stress. Make mindfulness a habit: Create mindfulness prompts by picking activities you do every day, and using them as reminders to practice mindfulness. Take things you do automatically, like using the phone, drinking your coffee, walking to work, or washing your hands, and focus on being present and aware when you’re doing them. Over time, incorporate more of these triggers to make mindfulness an organic part of your daily routine. Encourage expression: Creative expression can be a great way to generate mindfulness at work. Make space for your employees to take mini mindfulness breaks. Set up a creation station in a low-traffic area where employees can take a break to write a poem, doodle, or listen to music. Unleashing creativity not only helps cultivate mindfulness, but can have positive implications for creative problem solving abilities on-the-job, too. Many of us have a mental block that prevents us from pursuing creative activities – our inner critic tells us that if we can’t produce the next bestselling novel or create paintings worthy of a gallery, we shouldn’t bother trying. When you create forums and provide occasions for being in-the-moment at work, employees feel more capable of handling stress, and feel empowered and appreciated as a result. There’s no need to force-feed your point of view or a particular spiritual agenda to encourage employees to practice mindfulness, and mindfulness looks different for everyone. Encourage employees to identify and articulate the passions, strategies, and activities that nurture and ground them. This has a practical advantage, too – encouraging employees to explore mindfulness improves self-awareness, which is something we can all be working on! Feeling overwhelmed? Stop what you’re doing and spend five minutes doing absolutely nothing. Find a low-traffic spot or put in headphones, turn off your phone and email alerts, and focus inwardly on your breath, and on being present and focused on the moment. There. Doesn’t that feel better? next post: How Millennial-Minded Are You?